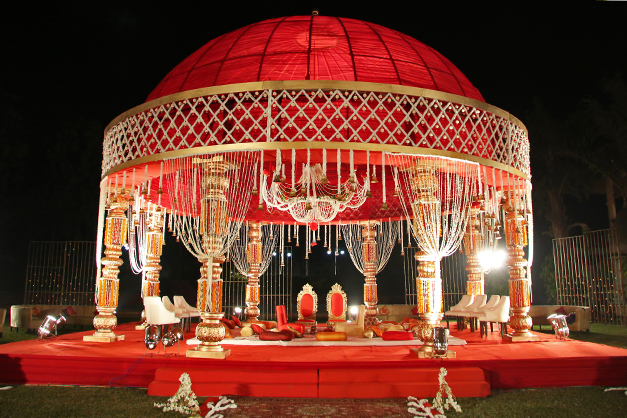 How should a modern wedding vedi look like? 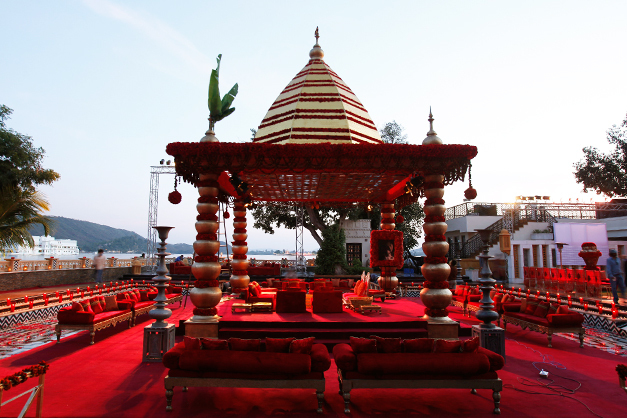 In Indian weddings, vedis or mandaps play a major role as it is the main spot where the nuptials and rituals takes place. Nowadays, it has become a struggle between traditional requirements and modern lifestyles. The western influence on our lifestyle and innovations have definitely impacted the natural jewels. 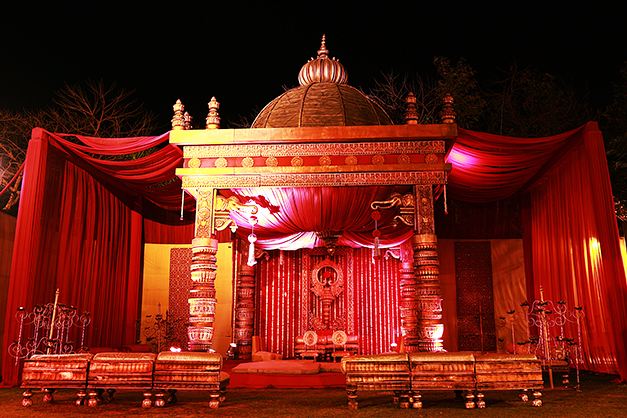 Today, the prime highlight of any wedding décor is the vedi as the bride and groom want the design to be exceptionally unique and at the same time should also match their aesthetic sensibilities. According to the latest trends, you can experiment with different shapes, use the most exotic flowers, candles, strings of crystals, glamorous light effects, and some unique elements. The design element in vedis can further be enhanced by the creative use of décor techniques and lighting. We rounded up some new ideas that are floating around – so your wedding is nothing short of a fairy tale. This vedi is not only stunning but it also reflects the transformation of traditional setups with the time. The additional prop in the side is a unique way to add a little quirk to this setup. 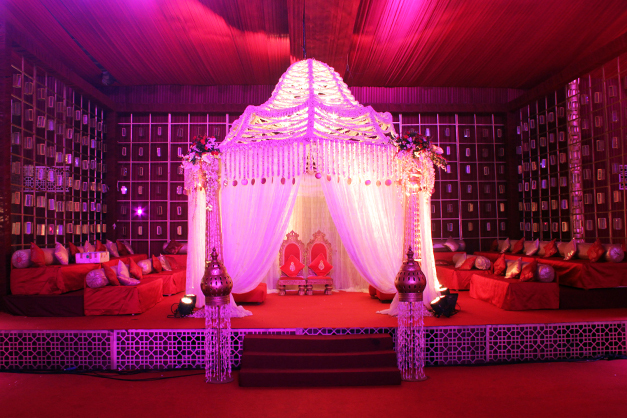 People who love regal as well as traditional setups can go for this Mughal themed vedi. The bold color combination of red and gold makes it even more attractive. This vedi is a total treat for eyes. 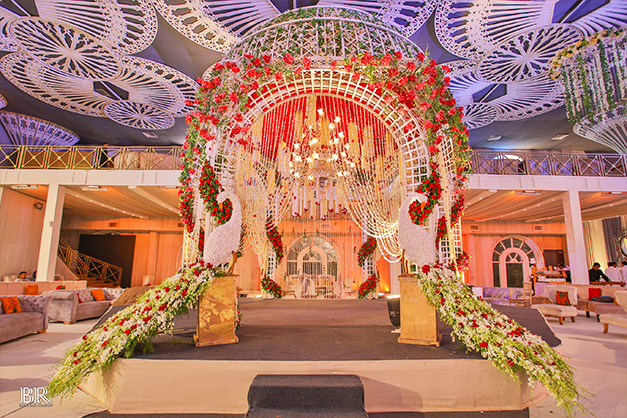 The use of flowers and the chandelier in the centre is enhancing its beauty even more. The beautiful draping in white color with floral hangings is taking over vedis these days. And the biggest deal with this theme is how close it is to the Indian look and feel. This vedi is perfect for traditional setups. It’s resemblance with temple and use of kalash as well as red color has accentuated its silhouette even more. These traditional vedis can never go wrong. 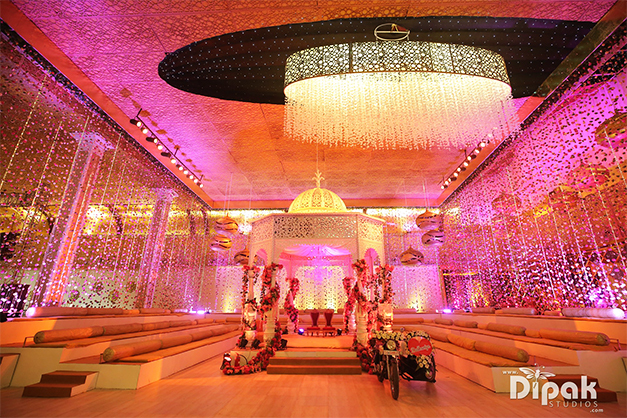 It has got everything from flower drapes, flower chandeliers, to ethnic elements which are taking over them. This vedi is a total stunner. 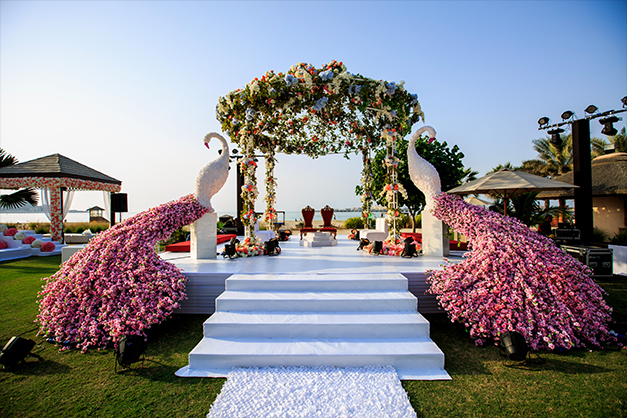 The use of stunning flowers can make your Indian weddings even more magnificent and the sweet smell as well as the white colour just makes it super minimalistic and neat!